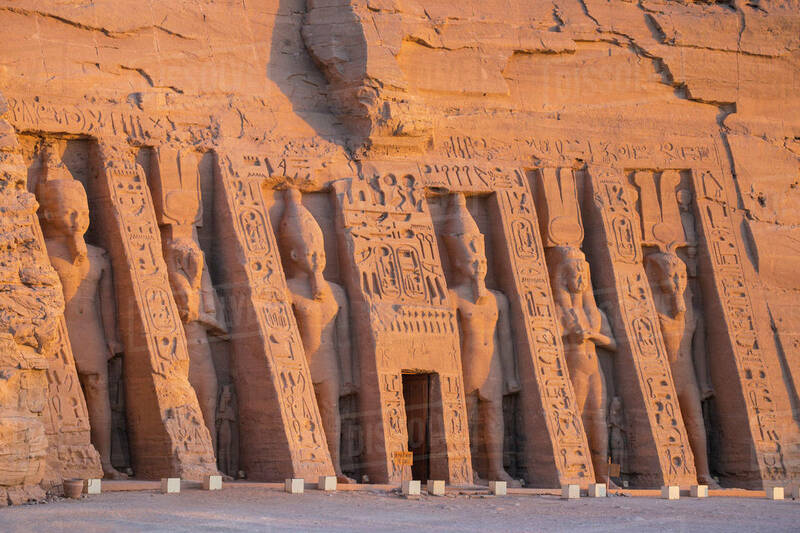 About 300 km from Aswan is a strikingly beautiful and majestic monument by the most powerful pharaoh in the history of Egypt. It is reachable by plane or by road. It is about 30 to 45 minutes by plane, and about three hours by road in one way. The two temples are cut deep inside the rock. 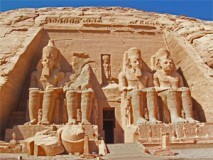 The great temple is dedicated to Amon Re, Rehorakhty, Ptah and Ramses II as a god. 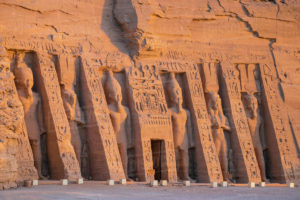 The temple is built with some angles to let the sun illuminate the face of Ramses II twice a year, in his birthday (October 21) and his coronation day (February 21). But now the dates are changed to 22nd of February and 22nd of October, due to the movement of the temple. 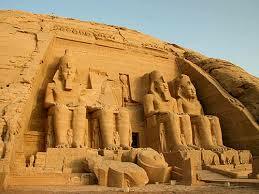 The two temples of Abu Simbel were the first temples to be rescued among 24 temples, due to the damage of the water. The rescue operation began 1n 1964 and completed in the spring of 1968.